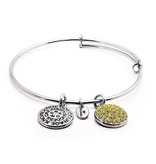 Chrysalis Citrine Crystal Expandable Bangle Citrine symbolizes power, courage and creativity. It is said to bring knowledge and success to its wearer. It reflects joy and helps to look forward to the future with optimism. 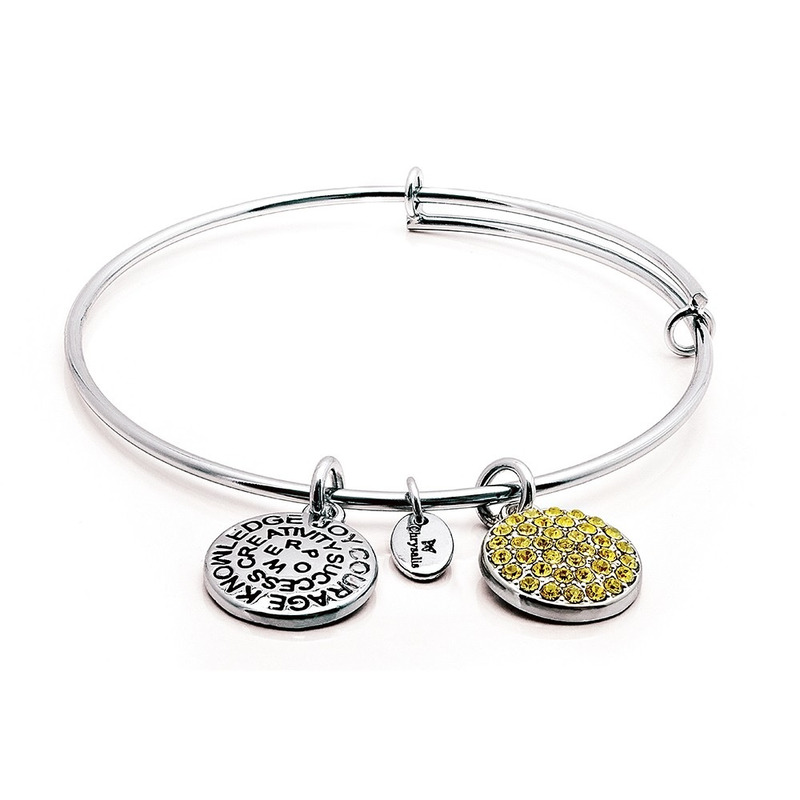 Finish: Silver (Rhodium) Plate Size: Petite = 6 to 7.5 inches Birthstone: - November Crystals: - 37 Citrine Swarovski Crystals Text: - Knowledge, Joy, Courage, Success, Creativity, Power Your adjustable bangle will come packaged in a Chrysalis suedette pouch. Stack them up for maximum effect ! !